In recognition of their amazing roles, GetGo, the lifestyle rewards program of Cebu Pacific, makes prioritizing and handling things simple yet rewarding for millennial moms. Its network of trusted retail, hotel, and bank partners offer benefits for the satisfaction and convenience of the whole family. GetGo also repays mothers with points that can be used to take her or the family on free flights to weekend getaway or holiday vacation destinations. Mothers can stock up on a month’s worth of groceries at any Robinsons Supermarket, Robinsons Selections, and Robinsons Easymart branches nationwide. 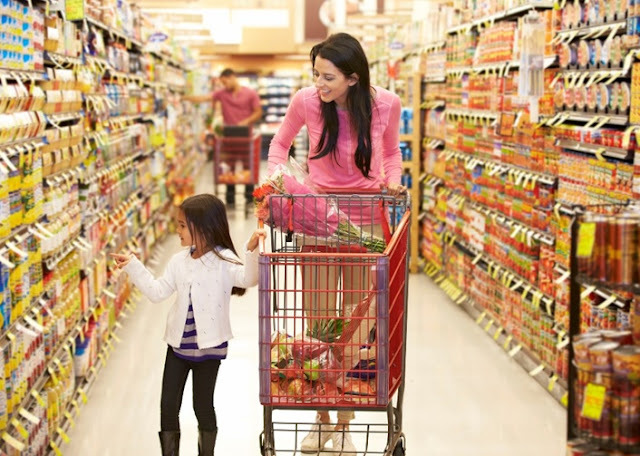 From carrying the freshest choices of fruits and vegetables for the family’s everyday wellness to finding travel essentials on a bundle, moms can save on costs to go on a budget-friendly adventure with the kids. Each P200 spend on groceries earns 1 GetGo point. You can also shop with the family at Robinsons Department Store for the newest clothing items while enjoying GetGo points for every P100 spend. As you prepare for much-awaited family bonding time, make sure to have accommodations all set by booking at any of GetGo’s hotel partners. Enjoy a relaxing staycation and recreation with the kids at Summit Hotels & Resorts, Crowne Plaza Manila Galleria or Holiday Inn Manila Galleria. You can also get a suite and spend the weekend to unwind at Taal Vista Hotel, Pico Sands Hotel, Radisson Blu Cebu, Park Inn by Radisson Clark, or Park Inn by Radisson Davao. Every qualifying stay at these hotels gives you up to 500 GetGo points. You can enjoy local tourist sites by going on a weekend road trip with the family fueled by Petron. Every 2 Petron Value Card Points earned from filling up can be converted to 3 GetGo points. Or you can fly to your dream destination by purchasing flights with UnionBank’s Cebu Pacific GetGo Credit Card and Platinum GetGo Credit Card where each P30 spent can be converted to 1 GetGo point for future adventures. You can also give them the lifestyle they deserve as every 2 UnionBank Rewards Points, 3 Citi Rewards Points, 5 BPI Express Credit Real Thrills Rewards, 2.4 EW Limitless Rewards Points, 3 RCBC Bankard Airmiles, 1 Metrobank Shopping Point, 2 BDO Elite Points, or 3 BDO Regular Points earns you GetGo points. Living in the city can sometimes be a hassle for mothers who are leading a fast-paced lifestyle. Luckily, Robinsons Residences offers Ring Rob Concierge to help families get settled in conveniently with its housekeeping services that deliver comfort right at the doorstep. Every P200 worth of eligible service is equivalent to 1 GetGo point. Moms can treat themselves with the latest beauty and fashion items by going on an online shopping spree at Lazada. Paying for expenses is made more convenient for the busy mothers through financial services offered by Cebuana Lhuillier or transacting online with Dragonpay credits. Every P10 spend on Lazada.com.ph, two (2) Cebuana Lhuillier 24k Rewards Points, and each successful transaction with Dragonpay via its mobile app earn GetGo points for free flights. Indeed, GetGo’s partners make life easier and exciting by giving opportunities to travel for free with the family. Not yet a member? Visit www.getgo.com.ph for more information on how to join.